Michelle Smith is a Senior Lecturer in Literary Studies at Monash University where she teaches fairy tale and children's literature. 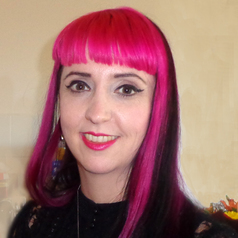 One of her primary research areas is Victorian girls’ literature and culture and she is currently completing a study of female beauty entitled “Beautiful Girls: Consumer Culture in British Literature and Magazines, 1850–1914”. Michelle is the author of From Colonial to Modern: Transnational Girlhood in Canadian, Australian, and New Zealand Children’s Literature (1840-1940) (U of Toronto P, 2018, with Clare Bradford and Kristine Moruzi) and Empire in British Girls’ Literature and Culture: Imperial Girls, 1880–1915 (Palgrave, 2011). She has also co-edited four books in the fields of children’s literature and Victorian literature, including Affect, Emotion and Children’s Literature: Representation and Socialisation in Texts for Children and Young Adults (Routledge, 2017, with Moruzi and Elizabeth Bullen).). Her research has been published in journals including Nineteenth-Century Contexts, Women's Writing, Victorian Periodicals Review, English Literature in Transition, The Lion and the Unicorn, Children's Literature in Education, Continuum, Papers: Explorations into Children's Literature and in numerous edited collections. Michelle has published opinion pieces in the Age, Sydney Morning Herald, the Washington Post, New Statesman, and The Drum and has been interviewed on numerous radio and television programmes.